This Microsoft­certified cordless DECT headset offers multiple wearing styles for maximum comfort, a hot­swappable battery effectively providing unlimited talk time and an interference­free cordless range of up to 300 feet. Thanks to Microsoft­certification, the Plantronics W445A­M is suitable for seamless integration and hassle­free deployment in offices and call centres which use Microsoft Lync or Microsoft Office Communicator for their VoIP telephony needs. It offers excellent wideband audio quality for crystal­clear phone calls, while noise cancellation helps to create a professional telephony environment. 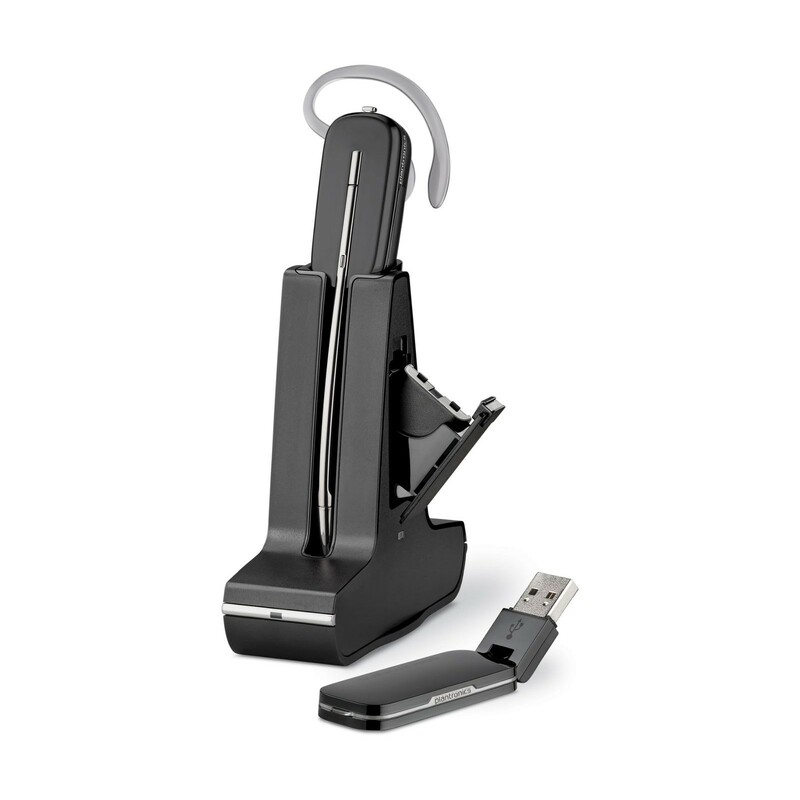 The Plantronics W445A­M also features in­line volume and call management controls, and a high­quality carrying case if provided for those who are regularly on the move between home and office. The Plantronics W445A­M is a dependable solution for intensive use throughout the daily routine in offices and call centres which use VoIP softphones from Microsoft.